Domestic violence, also known as domestic abuse, spousal abuse, and intimate partner violence (IPV), is an enormous society issue. Suellen Murray, Australian Senior Research Fellow at the Centre for Applied Social Research states, "While there have been significant shifts over the past thirty years in relation to both policy and practice around domestic violence, its elimination is not within sight." Likewise the Department of Psychology of The University of British Columbia concluded from data in 2005, that the number of battered women in shelters meant that gender inequality is still a major issue. Domestic abuse is certainly an important issue for men as well as women, as men can experience violent and inappropriate behaviour. Sadly, men also struggle to report an incident - possibly due to embarrassment and the fear of not being taken seriously. However, the grim statistics show that IPV is a much more serious issue for female victims. than men are by women. the women in these relationships were battered 75% of the time. 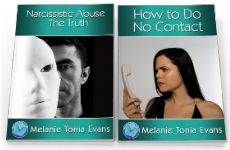 It certainly is common knowledge that violence by females is very common in narcissistic abusive relationships, where they will resort to force to try to recover themselves in the midst of severe psychological and physical violation. I myself pulled a knife and threatened my ex-partner and told him if he laid a hand on me again that I would drive it through him... and the terrifying thing is - in that moment I would have. 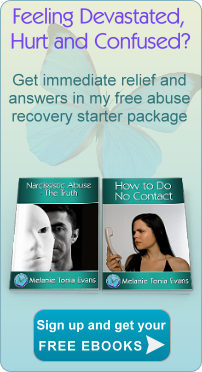 I was mortified and terrorised at what I had become within this narcissistic relationship. The factors of IPV are seen as 'confusion of gender roles '(disruption between the cooperation and trust) within the relationship, and the unhealthy expectations of the abusive partner. I have personally seen women from all walks of life become victims of IPV. Some of the women are highly intelligent and totally capable materially of creating a life without a man. Therefore it's simple to understand: Domestic Violence is an emotion-based issue. This is where the reform needs to occur. Domestic violence, fortunately, is now recognised as much more than just physical violence. How is domestic violence defined? Please see expanded definitions of abuse in the Article Are You Being Abused? Why Isn't the Deterrent System Working? Criminologists admit they don't understand why deterrents against domestic violence don't last over time. In fact, the offenders (that are not incarcerated) for IPV traditionally double the rate of their violence within one year. There are many grey areas for police to intervene (despite greater awareness, training and laws) and provide safety for a battered woman. Does she show signs of physical abuse? How can verbal or psychological abuse be identified and proven? Was the victim really assaulted by the alleged when he is believably denying it? If she is hysterical and he is calm and collected (as many narcissists can easily act out) is she in fact lying, mentally disturbed and perhaps actually the aggressor? Of course police have to ensure that the alleged abuser's rights are upheld. In many cases if a charge is made, both parties will be charged due to these unknown facts, and the police hearing 'his version' and 'her version'. Research conducted by Maryland Network Against Domestic Violence has clearly revealed: if both parties are arrested, the female victim will have much less faith in calling the police again, and is more likely to receive sustained abuse as well as not seek help in the future. I have personally suffered this anguish, as well as many of the abused female clients that I work with. Unfortunately, a general consensus from abused women is "No one believes me," and, "The police don't help me." Astounding research within the Howard Journal of Criminal Justice states: on average women experience thirty-five incidents of physical domestic violence before seeking intervention. Why don't women report IPV abuse? One chilling statistical truth is: If a woman is assaulted by an unknown male she will usually report the offence. If she is abused by an intimate partner (statistically more likely) she usually doesn't report it. She doesn't want to shatter the 'dream,' she thought she had with him. Because he doesn't 'hit' her (even though he may shove her, threaten her and damage her property), she feels she has nothing to report. She loves him, feels sorry for him, and doesn't want him to get in trouble. She is so stripped of her self-worth (severe co-dependency) that she believes if she breaks up the relationship, she won't survive. She is so deranged, confused and manipulated she believes the problems are her fault. He keeps promising that he'll change and she holds onto this hope. She is so addicted to him (severe co-dependency) that she doesn't believe she can live without him. She is terrified to report the event (because of threats in regard to her security or on her life made by the violent partner). She is filled with shame. She is worried about breaking up her family. She believes she won't receive help from the police. She doesn't know where to go for help. She doesn't think anyone will believe her. She has gone back so many times, she is ashamed and embarrassed to take action again. Women who tolerate battering are much more likely to be battered. In my experience women who are 'extremely clear' that they would leave immediately if a man laid a hand on them or verbally abused them don't tend to be abused. These women are prepared to be without a man, regardless of the losses, in order to honour themselves and their children's emotional, mental and physical well-being. These women have healthy belief systems and healthy boundary function in regard to the way they deserve to be treated. Most women (over 40%) who have suffered IPV have reported it isn't the first partner who abused them. Abuse from an intimate partner is a repeat pattern in many women's lives. Society categorises suicide reasons as: depression, mental disorders, alcoholism, drug overdose etc. How many of these symptoms of self-destructive emotions / behaviour (they are symptoms not reasons) were created as a direct result of sustaining relationship abuse? It stands to reason. People suicide for emotional reasons: a severe lack of self-esteem and feeling powerless. Abusive love (where identity and power is stripped from the victim) creates this dynamic perfectly. Of all the women I have worked with who feel suicidal, the most severe cases are battered women, or women who were battered in their past and have never emotionally and mentally recovered. I was one of them. I was severely suicidal. Nothing else in my life had ever toppled me to such a level of emotional devastation. One day whilst visiting a personality specialist in regard to understanding my ex-partner's Narcissistic Personality Disorder, I was informed of a girl who was pregnant to a narcissist whose last three girlfriends had all committed suicide. A coincidence? I think not. I am passionate about this fact: many people suicide (or contract terminal illnesses) from abusive relationships. I know people who have taken their own lives (one of them a family member) and others who barely exist whilst hanging on the edge of life and death.There is absolutely not enough focus placed on the dangers of individuals committing suicide as a result of abusive relationships. I truly believe this is the biggest cause of female premature death on our planet today. I believe more people are suiciding from IPV than those who are murdered. Apart from homicides and suicides, the effects of abuse on our world are horrific. The cycle is self-perpetuating and an insidious generational cancer. Most victims and perpetrators of IPV have been victims of emotional, mental or physical abuse in their childhood. Even if a child didn't directly receive abuse (and many do), living with an adult who is violating their partner is highly abusive. A commonly known psychological fact is: this dangerous recipe often creates the acting out, or attracting of abuse. The economic and health costs of IPV are devastating. In 2004, Access Economics, commissioned by the Office for the Status of Women, released The Cost of Domestic Violence to the Australian Economy. This key report estimated that the total annual cost of domestic violence to the Australian economy in 2002-2003 was $8.1 billion. The largest contributor was pain, suffering and premature mortality at $3.5 billion. Are the Real Issues being Addressed? The refinement of policy and procedures for the care of domestic abuse. The authors argue that while these polices are important, especially in reducing further harm, they do not prevent violence against women in the first instance. Only recently have prevention solutions emerged. The Australian Government is now creating large funding for the elimination of domestic violence and sexual assault. Perpetrator Programmes and Victim Recovery Programmes (To break the repetitive cycle). These programs are helpful, but are they really addressing the core issues of abuse? What is the core reason for 'Abuse'? 'Abuse' becomes an act of an abuser, or is accepted by an abused, because of unresolved emotional issues. These issues are insecurities, low self-esteem, and the inability for an individual to take responsibility for creating and maintaining their own emotional power. Quite frankly, any individual who abuses or who is being abused has belief systems aligned with abuse. Unless these belief systems are amended the abuse will continue. What is tricky about belief systems is: they're created by emotional reactions, not logical deductions. Unless they are addressed at an emotional level, nothing changes.The painful emotional charges that create the abusive belief systems stay locked into a person's psyche. Therefore, regardless of what the person 'thinks', the individual will subconsciously act out or attract more of the same. IPV is an emotional power play created from these painful emotional beliefs. The abuser seeks control over the partner in order to assuage emotional insecurities. The partner becomes submissive, or generally tries to take their sense of self back. The partner's emotional insecurities lock them into staying. The struggle intensifies and the abuse escalates. Has society taught us how to have a healthy emotional relationship with ourselves - let alone create and maintain a healthy, comfortable safe and emotionally mature relationship with another? Globally, the understanding and maintenance of emotional intelligence and emotional security has not been a part of our educational curriculum, and is largely bypassed. If an individual is secure within their own emotional self-development and self-esteem, there is no need for them to control and abuse another to try and steal energy and feel better. There is no need to harm, damage, take or obsess over what someone else is or isn't doing. Individuals who are self-empowered know their limits, know what they will or won't accept and take their hands off trying to control outer situations and align themselves with what is healthy for them, by knowing and trusting themselves on an inner level. They also make healthy self-respecting choices that tend to eliminate attracting abuse in the first instance. they are not economic or practical. Why aren't self-empowerment and emotional self-development taught in schools? Why aren't the knowledge of the dangers of co-dependency not exposed globally, and relevant and effective healing and awareness targeted? Why aren't adults encouraged to process and clean up their unfinished business from their childhoods? Why aren't parents trained in emotional intelligence and taught how to pass its benefits on to their children? Why aren't battered women given effective self-empowerment training and spiritual solutions to truly heal their core inner torment? Why aren't women educated from an early age in regard to their deservedness and what is and isn't abusive? Why isn't emotional boundary training a part of our world's education? Why aren't perpetrators more understood and encouraged as a society to heal their emotional issues that create the need to abuse? Why on earth hasn't centuries of destruction between men and women prompted society to understand the real issues and take action? As you can tell, I am incredibly passionate about 'healing abuse' and truly believe: until the real reasons for abuse are addressed, the 'bandaids' are going to keep falling off. Abuse spawns through every generation, and unless the vicious emotionally insecure cycle is broken, abuse will continue to be a horrific aspect of our world. As well as the damage to our environment and our children, the very nature and frequency of IPV undermines the ability for men and women to conjoin in the way they totally should: with love, sincerity, trust and true partnership.